The Justice Firm, LLC is a small legal firm in the State of North Carolina that focuses exclusively on eminent domain. 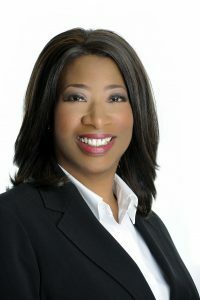 Ms. Justice, the attorney, has specialized in eminent domain for over fourteen years which has allowed her to develop close connections with well-respected experts and consultants such as appraisers, surveyors, and engineers that all work together to ensure cases are settled quickly and efficiently while maximizing the amount the property owner receives. Specialization: Each aspect of the law varies drastically from the next and attorneys need to be well-versed in specific areas of law in order to best represent their clients needs. Smaller firms often focus exclusively on one area of law which allows them to develop a deep understanding of the process and complexities involved in each particular case. Personalized approach: A small firm means that the staff will be intimately involved with each case, allowing the staff to better understand your unique details and giving you the peace of mind that your case will not be handed off to another attorney. Your case is important: Unlike large firms, small firms value each and every client. Their smaller case load allows them to devote significant amounts of time to each case. Ease of access: In larger firms, it can be quite difficult to speak with an attorney directly. In smaller firms, clients have the ability to speak directly with the attorney whenever necessary. Flexibility: Small firms are able to tailor their services to meet the client’s unique needs. Reasonable fees: A small firm means a lower overhead cost, maximizing the amount of compensation you receive. I am attorney Keenya T. Justice of The Justice Firm, LLC. With more than a decade of eminent domain experience, a Masters of Business Administration (MBA) and an undergraduate degree in finance, I can help you navigate this complex process. Eminent domain cases are like puzzles. I gather all of the property-specific facts and relevant law and begin to see how the pieces fit together to maximize my clients’ compensation and achieve their goals. I understand how taking just a sliver of land can impact the value of the owner’s remaining property. Understanding what my clients are facing means that I comprehend their circumstances, their goals and I know how to best to help them. I offer skilled representation that allows me to navigate efficiently and effectively through the condemnation process, and I do my best to reduce the impact it has on individuals, business owners, churches and nonprofit organizations. Beyond the legal issues and the process, it is important to know your adversary and the different people who play a part of the process, from right-of-way agents who are the point of contact for property owners to lawyers in the Attorney General’s Office who represent the Department of Transportation (DOT). Over the course of my career, I have come to know all of the involved parties and they know my reputation for securing positive results for my client. After over a decade of working exclusively on eminent domain and condemnation cases, I know the DOT’s practices and policies as well as their politics and personnel. Because of that, I can often get things done in a more efficient manner than attorneys who do not regularly deal with the DOT and/or attorneys who charge by the hour because efficiency does not work in their favor. Also, knowing the statutes and case law and the DOT’s tactics makes me better able to anticipate what they will do and has earned The Justice Firm, LLC, a statewide reputation with the DOT. The information on this site is not legal advice. We recommend you consult with an attorney for advice regarding your specific situation as the information provided does not constitute as legal advice and is intended to help the user learn about eminent domain in the State of North Carolina.